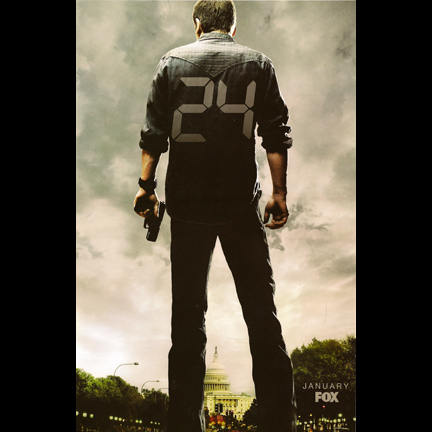 This signature costume change was worn by the character "Jack Bauer" played by actor Kiefer Sutherland in the fifth season of the award winning television series “24”, which ran from 2001 to 2010. 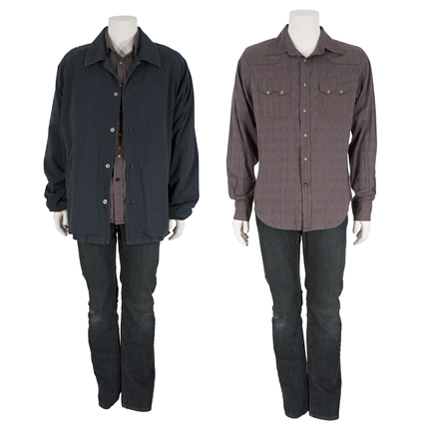 The outfit consists of a blue FBI field jacket, a grey Western style long sleeve shirt by Guess, and a pair of dark blue Levi’s Premium jeans. 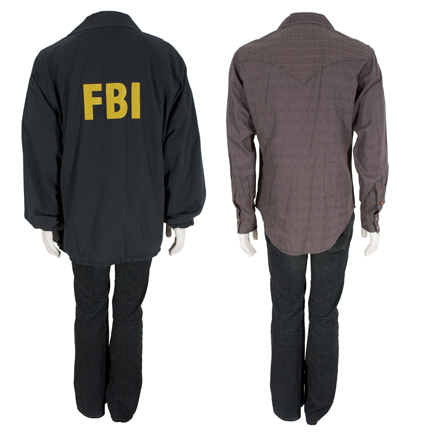 The FBI jacket is an exact replica of the authentic government issue nylon jacket and was custom made by Eastern Costume Company specifically for Mr. Sutherland. The jacket was custom tailored out of soft cotton in order to reduce extraneous noise that wireless microphones would have picked up from a standard nylon windbreaker material. Sutherland was required to be strapped with a wireless microphone during filming due to his “whisper talk” and the amount of action sequences that were filmed for each episode. 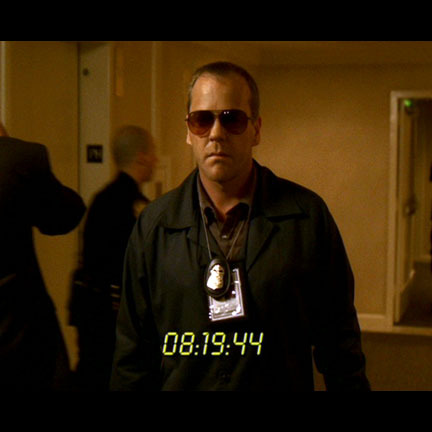 Mr. Sutherland first appears wearing the shirt and pants in the beginning of the first episode of Season 5 (“Day 5: 7:00am – 8:00am”) when getting dressed to start his day. 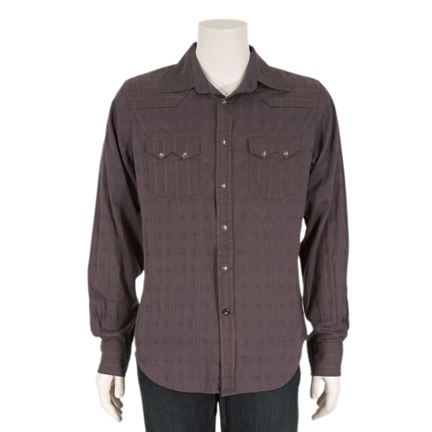 Bauer wears this exact wardrobe combination with the FBI jacket later in the episode after forcibly taking it off an FBI agent in order to sneak into a crime scene investigation and then during part of the second episode just before escaping from the crime scene with the assistance of “Wayne Palmer”. 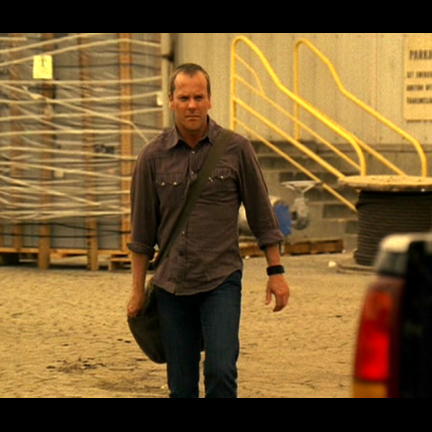 The western shirt and Levis were worn throughout all the remaining episodes and was Jack Bauer’s signature wardrobe from Season 5. Mr. Sutherland stood in front of the Capital building wearing this outfit while holding a live firing HK USP Compact pistol for the Season 5 poster photo shoot. Because of the weapon’s use during the photography session, actual Secret Service agents were required to be present for reasons of national security. 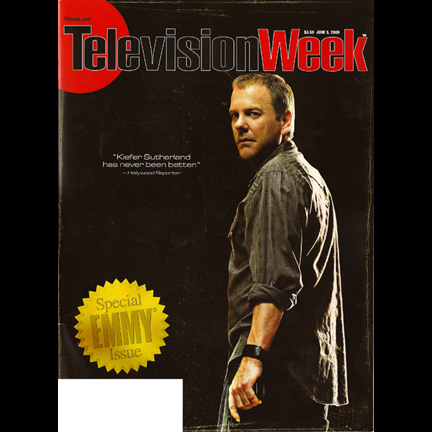 Mr. Sutherland is also featured wearing this outfit in the book “24: Behind The Scenes”, on the studio promotional poster for Season 5, on both Season 5 Disc 1 and Disc 2, and also on the cover of the Season 5 DVD box set. 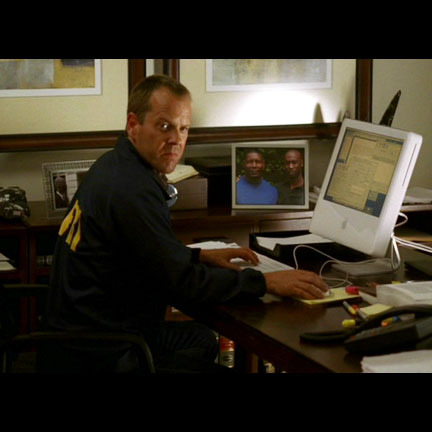 Due to the enormous amount of exposure and promotional materials generated for Season Five of “24”, this particular costume change is perhaps the most iconic and immediately recognizable of Jack Bauer’s costumes ever used on the series. 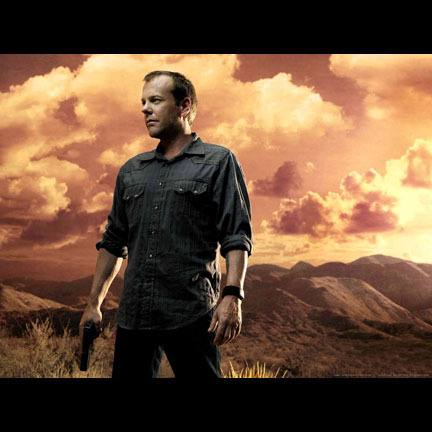 Season 5 was the most popular season from the series, and also its most successful season for Emmy awards, earning 12 nominations and five wins, including Best Drama Series and Best Lead Actor in a Drama for Kiefer Sutherland. The garments are in very good screen used condition and are accompanied by a letter of authenticity.